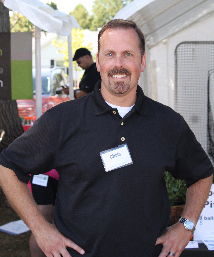 “A big part of our strategy has been to look for ways that we can engage the community in what it’s already doing,” says Pastor Chris Skowronek of CenterPoint Community Church, a Grace Brethren congregation in Wethersfield, Conn.
To that end, Skowronek is personally involved. He serves as the chaplain of the fire department: “I train with the guys, and I show up at scenes and events.” He is also the only clergyman on the Juvenile Review Board, which works with minors who have committed crimes as an alternative to sending them to court. As a member of the Senior Citizens Advisory Council, he helps evaluate how well the town meets the needs of its senior citizens. Church members have followed his example by volunteering at the local food bank and other endeavors. 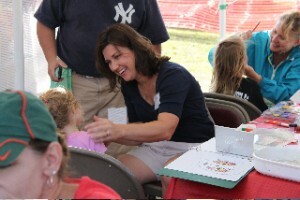 CenterPoint Church members volunteer at the local Cornfest. It’s brought a level of trust that comes only with experience. When he first asked if church members could help in emergency situations, Skowronek says he was told ‘Well, we wouldn’t use church groups; we would have our own volunteers. “But when the actual event came, they called us,” he says.